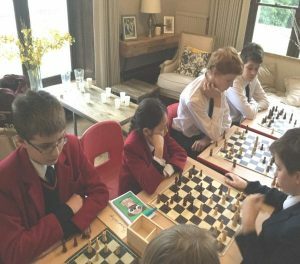 The last two weeks has seen Copthorne Chess teams in action at Brambletye and Cottesmore tournaments as well as Copthorne hosting a Sussex Junior Chess Under 11 five counties match last Saturday. 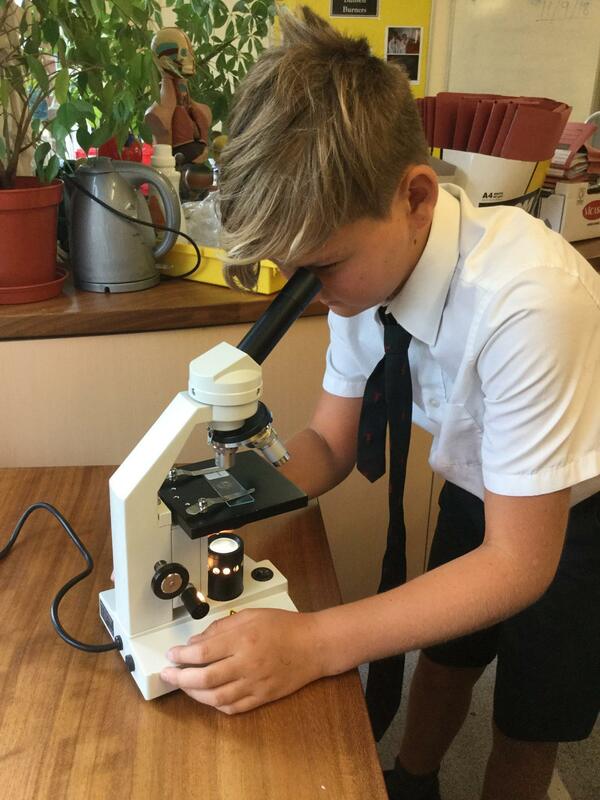 At Brambletye, we entered an A team with Zevon, Kieron, Nick H and Sophie competing well to finish in joint top spot. 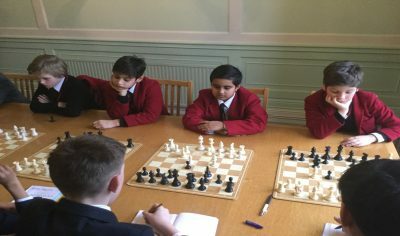 Our B team of Cosmic, Rio, Sam R and Pranav also competed very well but ultimately struggled against opposition who were much older. Cottesmore the following week was another under 13 tournament so with two boys away playing rugby, we entered a very young team of Sophie, Rio and Pranav. With County and England players in the mix, this was always going to be tough, but we did remarkably well to finish in 6th place out of 14 teams.